As the demand for fresh organics from health-conscious consumers continues to rise, Lancaster Foods is ahead of the curve. We employ a dedicated Organics Buying and Service Team with over 55 years of experience, including staff members with impressive organics retail management expertise. You can count on our extensive knowledge to help you design and manage your own certified organics program, right in your stores. Through our long-established relationships with the best certified organic growers and brands around the world, we offer an extensive line of imported and locally grown organics. These relationships, along with our stringent standards for Quality Control and food safety, ensure you get the highest quality organics, whenever and wherever needed. We also offer a complete line of packaged and fresh-cut organics to meet your customers’ rising demands. We offer certified biodegradable and compostable trays embossed with the Earthcycle logo. 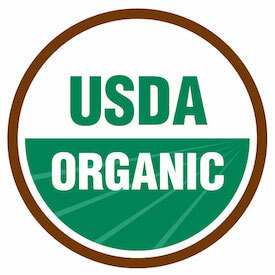 Lancaster Foods operates under the Maryland Department of Agriculture’s Organic Certification Program and the USDA National Organic Program.